The Temple Institute has brought the Third Temple one step closer by establishing a school for Jewish priests (kohanim) to learn how to perform the Temple Service. A group of students, certified as being from the priestly caste, stands ready to learn all of the details of this complicated task, which may become relevant sooner than anyone thinks. Four months ago, the Temple Institute established a registry of Kohanim, a list of men who have a clear patriarchal heritage from the priestly class. 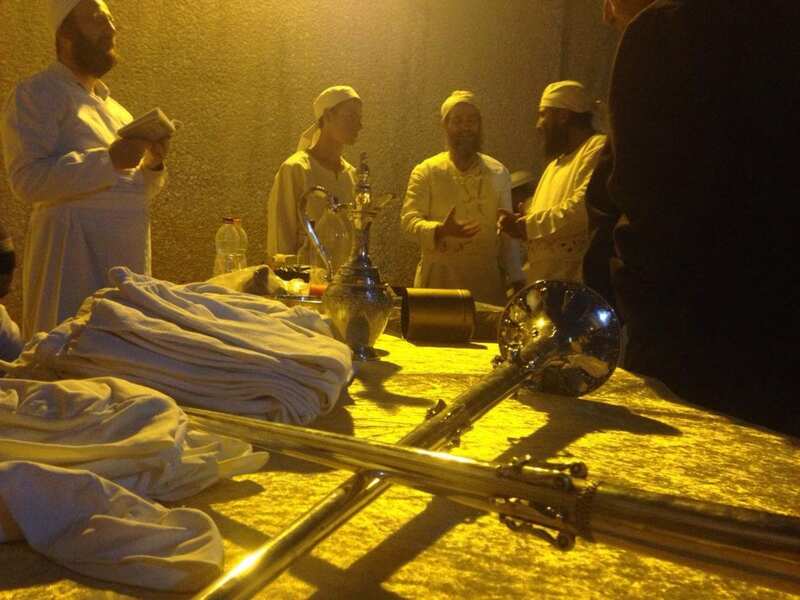 The Kohanim must fit certain criteria, in addition to having priestly heritage: they must have been born and raised in Israel, and have observed the laws of purity incumbent upon priests. This excludes anyone who has come into proximity with the dead, so priests who were born in hospitals, have visited hospitals, or have entered cemeteries are not eligible. The Temple Institute was founded in 1987 to fulfill the mission of bringing about the Third Temple. In addition to educating and raising awareness, the Institute made amazing practical progress in this daunting task. The Institute has also reconstructed the High Priest’s breastplate featuring the twelve precious stones of the tribes of Israel, the half-ton golden menorah that will stand inside the Temple, and the musical instruments of the Levitical choir. In addition, it has made significant advances in preparing the architectural plans for the building of the Temple. In order to further their goal, the Temple Institute established The Nezer HaKodesh Institute for Kohanic Studies to instruct Jews from the priestly caste in the Temple service. This comes after four years of extensive pilot programs. In the new program, students will learn the halacha (Torah law) relevant to the Temple service. The Temple Institute’s courses of study include: The Role and Application of Modern Technology in the Third Temple; The Mathematics of the Holy Temple; The Temple Service: Theory and Practice; Holy Temple Administration; The Sacred Temple Vessels: Aspects of Engineering and Design; and The Topography of the Temple Mount and the Structure of Ezekiel’s Temple. “We are extremely excited to announce this new step towards the restoration of the Holy Temple service,” Rabbi Chaim Richman, international director of the Temple Institute, said in statement announcing the new Kohanic institute. The second Temple was destroyed by the Romans in 70 CE and the Temple Mount has been under Jordanian supervision since Israel conquered it in 1967. Administered by the Waqf, a Jordanian Muslim authority, non-Muslims are forbidden from praying at the site, and Jewish visitation is severely limited.